Golden Hard MSA Topcoat can be used over a wide variety of paints, including acrylic, oil, alkyd, egg tempera, watercolor, and casein. It dries to a tough, non-flexible protective finish. 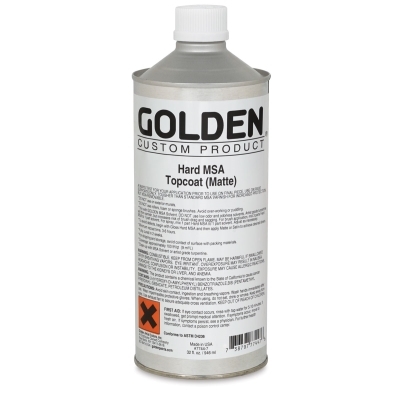 As a topcoat for acrylics, it provides a harder, lower tack surface than other topcoats.